Young Ofelia is lost in a world of war as she finds solace in the books she reads. Then one day her world changes as she is visited by a Faun who tells her she must complete three tasks so that she take her rightful place as a Princess in their kingdom and be reunited with her father. As she journeys through her tasks and comes across unspeakable evils, she must also help her pregnant mother while her sadistic step father runs the outpost with an iron hand. Will Ofelia complete the tasks, find peace, and be reunited with her father? Journey with us as we talk Guillermo del Toro's masterpiece Pan's Labyrinth. We also discuss Reign Of The Supermen in Download This and our new cohost Long finally watched Cobra Kai! We also talk about the latest internet rage of people, discuss the new trailers for Spider-Man: Far From Home, John Wick 3, and Ghostbusters! Plus as always a preview of next episodes featured movie and don't say his name three times as we get ready to talk Beetlejuice! It's finally here! It's epic! It's a milestone! It's our very special 100th episode! Mark, Matt, & Frank are joined by their old Friend Long, a.k.a The Evil Dr. Tran as we celebrate 100 episodes of the show! We look back on how we got this far and discuss some of our favorite episodes. We play old games from the show such as Face Off & can't decide who would win between He-Man & Thor! 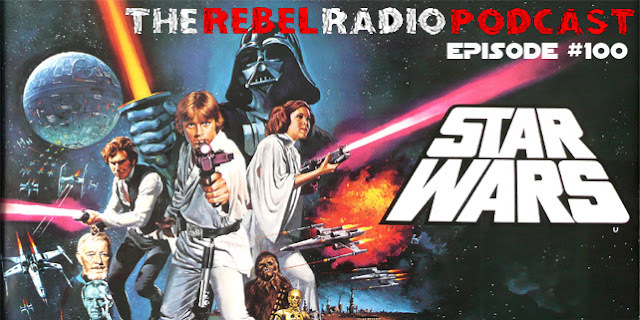 We bring back a classic game from the Rebel Radio internet show from 2006 & tell you what we have watched lately in Download This. 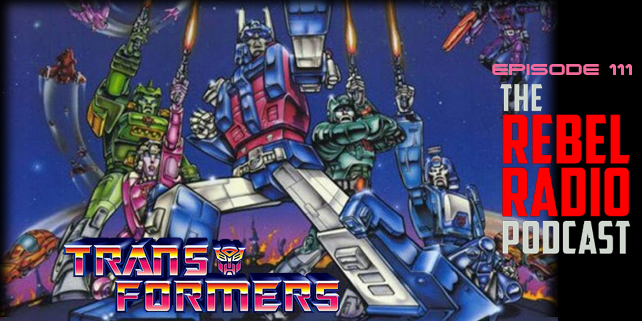 It's more than meets the eye as Mark & Matt discuss 1986's epic animated film, Transformers The Movie! This classic animated film is dear to many who grew up with it as we watched the action unfold on screen in which new Transformers were introduced, heroes and villains died, and the Matrix Of Leadership was our only hope to defeat the evil planet killer Unicron! Transformers The Movie is one of the greatest and most epic animated films ever made & we discuss it as well as our favorite Transformers, favorite toy from the line, and discuss the new Bumblebee trailer! We also tell you what we have watched or streamed in Download This, and the news is full of Batman's private parts as the big news this week seemed to deal with a mystery all these years to Batman fans! We also preview our next film, The Big Lebowski & more! The countdown to 100 is on and in this episode we follow two angels who have been outcast from Heaven but find a loop hole to get back in! But wait, if they do this then they will destory all of existence! It's up to the last Scion and two unlikely prophets named Jay & Silent Bob to stop them! 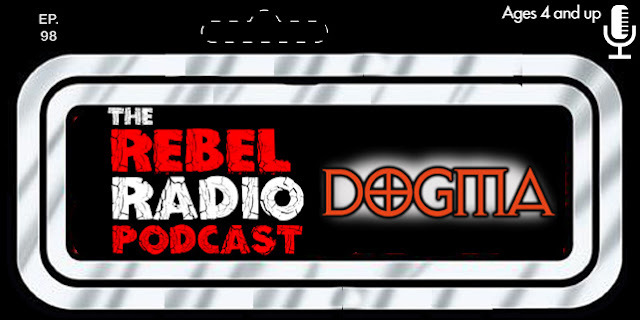 We revisit Kevin Smiths' controversial 1999 film Dogma with an all star cat including that Alen Rickman dude! We also bring you all the latest news on the Teenage Mutant Ninja Turtles reboot, the title to the Spider-Man: Homecoming sequel, and tell you what we have been watching in Download This. We then preview our next movie we will cover, 1988's action classic Die Hard!